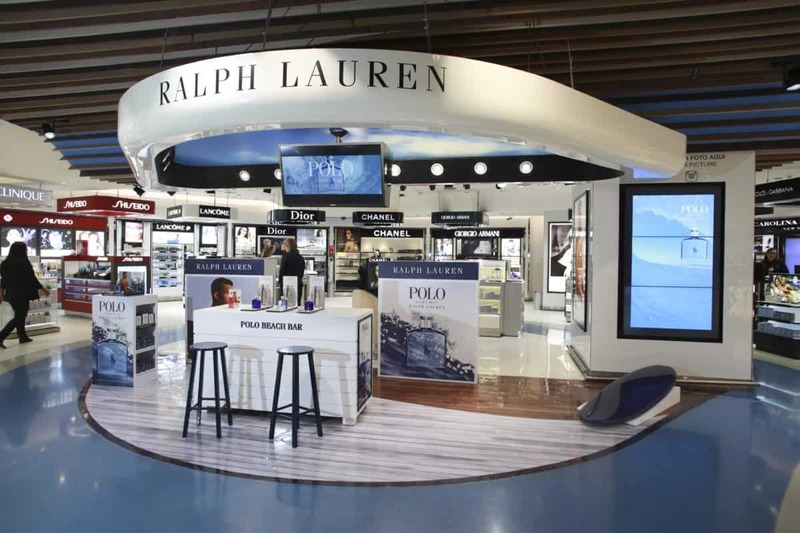 Polo Ultra Blue, the new fragrance for men from Ralph Lauren launched into travel retail in March, is being featured across sixteen different US cities in a blockbuster July campaign. The retailtainment concept was inspired by the ‘surf-globetrotter’ who travels to hot surfing destinations in search of the most thrilling waves. An exclusive city stamp has been created for each city he has explored, including Buenos Aires, Rio de Janeiro and Miami. Shoppers buying Polo Ultra Blue receive a complimentary sports bag, personalised with their initials and a city stamp as a Sense of Place souvenir gift. The campaign includes an experiential Polo Beach Bar. Passengers are invited to discover the fragrance tailored to their lifestyle through their favourite cocktail recipes. The experience extends to a surfboard photo booth featuring waves crashing in the background, so consumers can create sharable selfies. L’Oréal Travel Retail said that the Polo Ultra Blue event is a “perfect expression of retailtainment and Sense of Place enhancement that allows travellers to live a one-of a kind experience, part of a memorable journey”. Polo Ultra Blue is described as an ultra-fresh and ultra-long lasting interpretation of the popular Polo Blue brand. It is designed to evoke the “refined, yet sporty lifestyle” of the Polo Blue Man, a dynamic embodied in the just-released campaign by Luke Rockhold, the new face of Polo Blue fragrances. Rockhold is a mixed martial artist (MMA) and model and also an avid surfer and kite boarder.